A round of steady snow moved through our area earlier today and produced 3 inches of snow during the morning-afternoon. The first round of steady snow moved to the northeast, and a quieter period of lighter snowfall arrived for much of the afternoon. 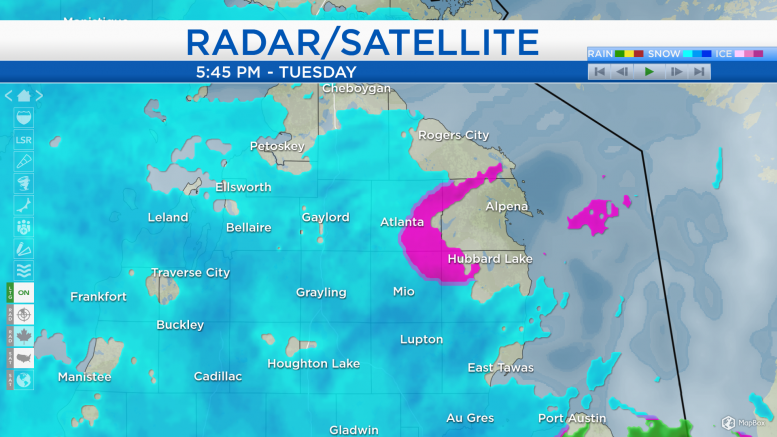 This evening, another round of heavier snow is arriving from the southwest and will continue for the next several hours. 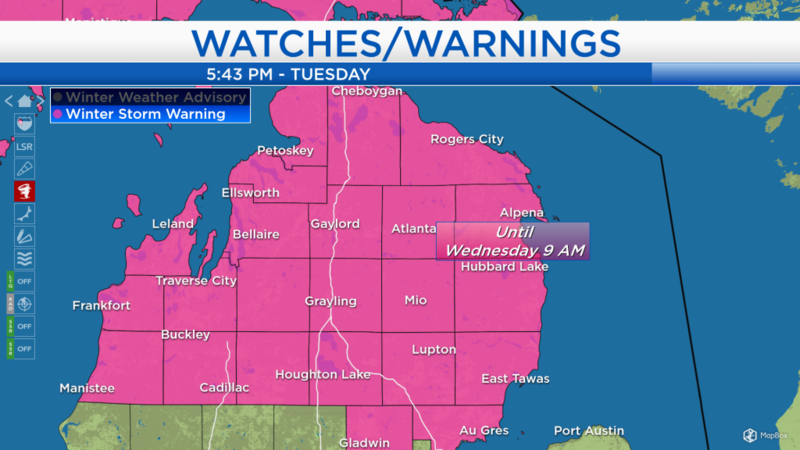 A Winter Storm Warning remains in effect for all of Northern Michigan until 9 a.m. tomorrow morning. Additional snowfall amounts of 5-8 inches are forecast for Alpena and Presque Isle counties, and 3-6 inches elsewhere in Northeast Michigan. Strong winds out of the east (then shifting out of the northeast overnight) gusting 25-30 mph will create blowing snow, adding to travel-related hazards this evening. 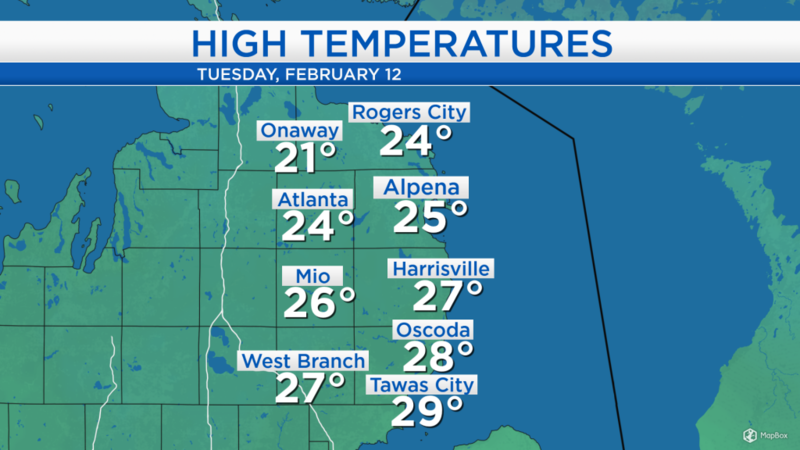 High temperatures today reached the middle 20s for most places, slightly warmer in Iosco county and a little cooler in western Presque Isle county. Similar temperatures are expected tomorrow, then one day of warmer temperatures will arrive Thursday. Some light snow will probably continue tomorrow morning, but the intensity of the snowfall will weaken during the predawn hours. 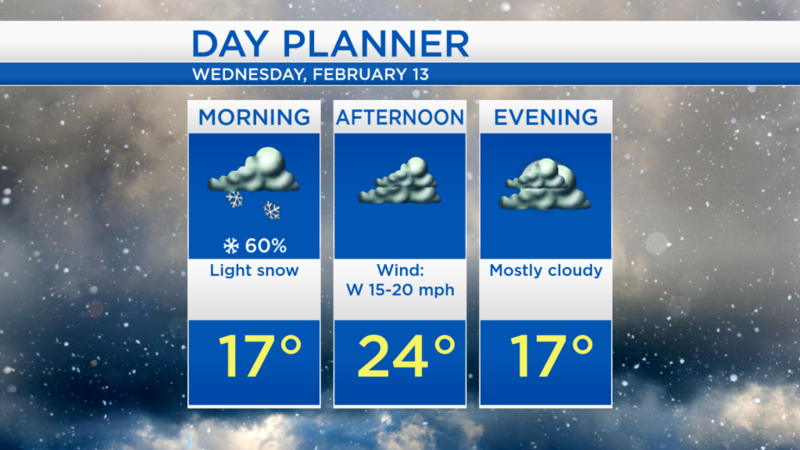 The snow will clear by the afternoon as highs reach the mid-20s. Wind speeds will remain brisk, shifting out of the west at 15-20 mph. We will see several hours of dry weather tomorrow afternoon through tomorrow night. Then some lighter snow showers are expected Thursday, but snowfall will amount to much less than what we have seen today-this evening. Also, temperatures will warm to the lower/middle 30s on Thursday with a light breeze out of the south. A few snow showers could linger early Friday, then finally a prolonged period of dry weather will settle into our area late Friday through the weekend. For the rest of Northeast Michigan’s weather forecast, watch the latest weather video by clicking the weather tab at the top of the page.